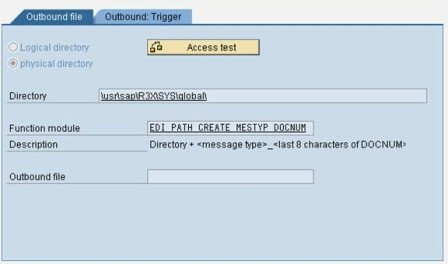 In this tip, learn how to convert IDocs into XML format for use in the SAP Exchange Infrastructure (XI) and additional applications. It is assumed that the reader of this article has some knowledge in ALE, IDocs and change pointers. 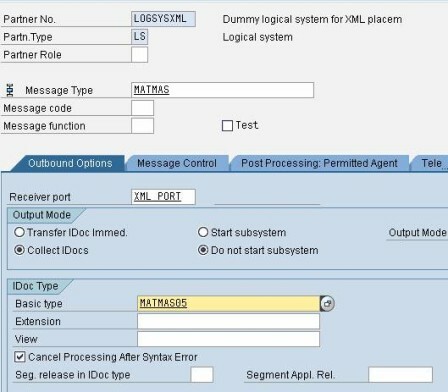 Conversion of the Material IDoc (Message type: MATMAS) to XML format and storage of the same in the application server of SAP. Provide the message types to be included for change pointer updates. Save the Model View and Generate Partner Profiles. There might be a problem with the automatic port creation. The port may need to be created manually. Create an XML Port from the transaction WE21 (Port type: XML File). Directory is the path on the application server. The Function Module is used for file naming conventions. Any of the SAP-provided function modules could be used for this (Use F4 help to check on this) or you could create a custom function module for any other naming conventions. In the outbound trigger tab, mention the RFC destination created earlier. Make an entry in the partner profile generated earlier for message type MATMAS. A background job needs to be scheduled for a periodic run (interval as required) for the program RBDMIDOC with the message type MATMAS. Test the above scenario by creating a material using MM01. An XML file would have been created in the directory specified in the XML port. The file could be downloaded onto the front-end system using the transaction CG3Y.